Twin dragons, entwined, Battle for ultimate possession of the black Stone of Wisdom. 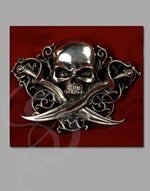 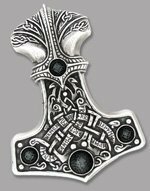 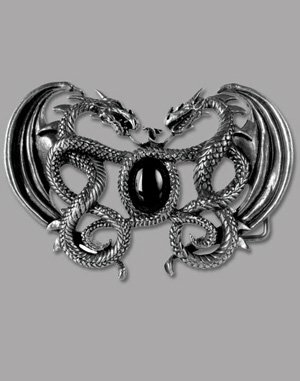 This buckle has detailed pewter symmetric, facing dragons, guarding the "Stone of Wisdom" - a black cabachon in the center. 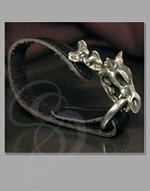 Made to fit a standard 1.5-inch belt strap, with metal belt loop and prong on the back.